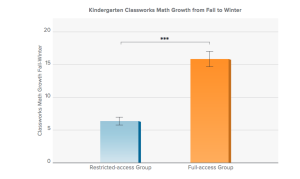 The term “kindergarten ready” is everywhere and parents are extremely aware of it when enrolling their children in an early childhood learning environment. Preschool programs like yours are designed to introduce and facilitate activities that develop physical, intellectual, social, and emotional skills needed for kindergarten. 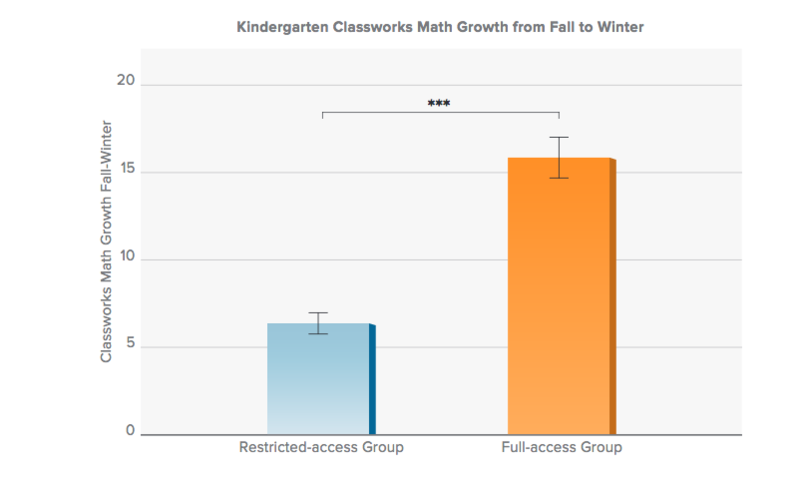 Early learning programs impact three and four year olds while they are at an important stage of development. The skills learned through classroom lessons become the foundation for kindergarten and beyond. Your program stands out from the rest when you offer ABCmouse. ABCmouse not only complements your curriculum and offers a meaningful digital component to the classroom, but has been proven to impact kindergarten readiness. Age of Learning’s recent research study found ABCmouse significantly improves student outcomes in pre-kindergarten and kindergarten. 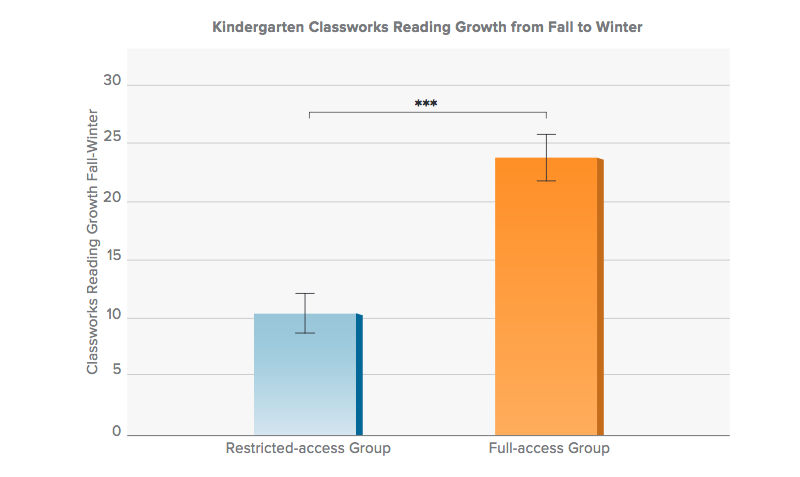 1) The more ABCmouse learning activities a student completed, the greater his or her kindergarten readiness score at the end of pre-kindergarten. 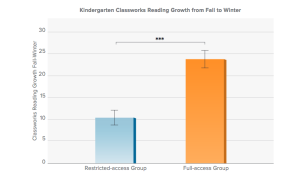 2) Students with regular ABCmouse usage in kindergarten saw 120% gain on early literacy skills from fall to winter, as compared to students without usage. By using ABCmouse.com in your classrooms and offering home access to your families, you are providing an invaluable online learning tool unlike any other. If you’d like to offer ABCmouse.com to your families, please contact one our Educational Advisors at 888.906.0671 or via email: info@kidorangetech.com.